Did you know that Argan Oil isn't just for hair and skin, but that you can also cook with it? Well, neither did I until I was approached by Alassala who make a delicious culinary grade version of the classic oil loved by beauty buffs the world over. I decided to give Alassala Extra Virgin 100% Organic Moroccan Argan Oil a try and I'm happy to report that's it's a great oil to use for cooking. It's a lovely alternative to olive oils that's perfect for salads, meat dishes and drizzling over pasta or fish. 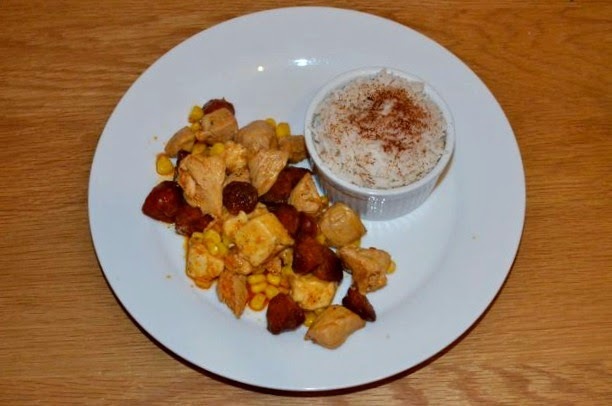 I love using it for stir fry type dishes with meat, such as my Chicken, Chorizo & Halloumi Stir Fry! In a wok, heat two tablespoons of argan oil. Add the chopped chorizo and a peeled, bashed garlic clove and stir, cooking until crisp and golden on the outside and the oil turns orange. When cooked, remove the chorizo to a bowl, set aside and keep warm. Discard the bashed garlic clove. With the oil still hot, add the lemon zest and stir as it sizzles for a second. Add the chicken to the oil and stir, coating the meat in the orange oil. 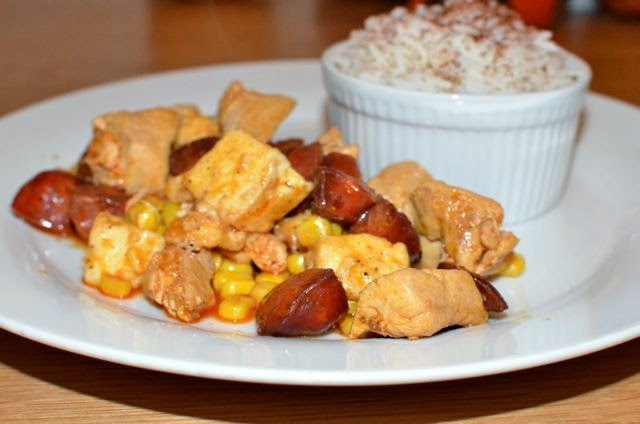 When nearly cooked through, add the corn and the lemon juice, stirring to combine. Sprinkle with sea salt flakes and give a good grinding of fresh pepper and stir again. At the end of the cooking process, add the cubed Halloumi, stirring to coat every piece in the beautiful, orange oil. Cook long enough for the cheese to be piping hot and slightly softened. Transfer to a warmed serving dish or plates and serve piping hot. I love to serve this with white rice, sprinkled with a bit of paprika or some fresh herbs like rosemary or thyme, but this would also be great alongside potatoes or other veggies, couscous or even on its own. Feel free to substitute a few things or add in others. Kidney beans would be great in this, especially if you're having it on its own with no starches on the side to make it more filling. Just drain them add them in with the corn. Also, you could try Feta cheese instead of Halloumi and feel free to add other veggies like peppers, onions or even tomatoes if that suits. I found the Alassala Moroccan Argan Oil very easy to cook with and its nutty flavor complemented this dish nicely. 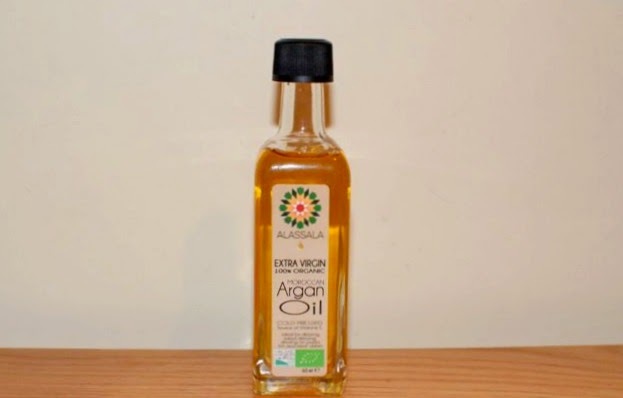 Alassala Moroccan Argan Oil comes in two sizes ranging in price from £12.99 to £17.99 and is available to buy via the Alassala website. * If you can't get your hands on Argan Oil, you could use garlic oil, regular olive oil or even vegetable oil to make this recipe.